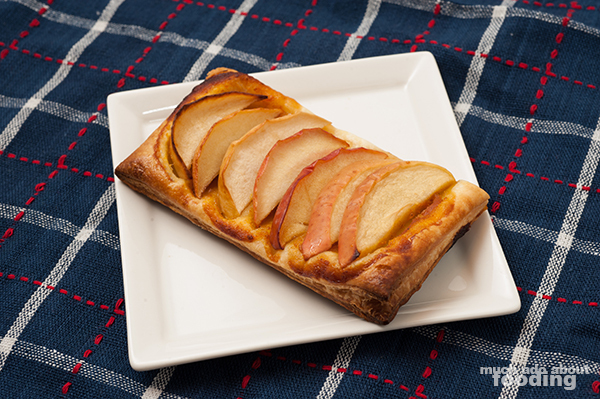 Who knew that tarts could be so simple to make? I've never worked with puff pastry before but after making these apple tarts, methinks I ought to use the magic sheets more often. This dessert/pastry came from the brainstorming all of you did over our Test Kitchen ingredient of pumpkin butter. 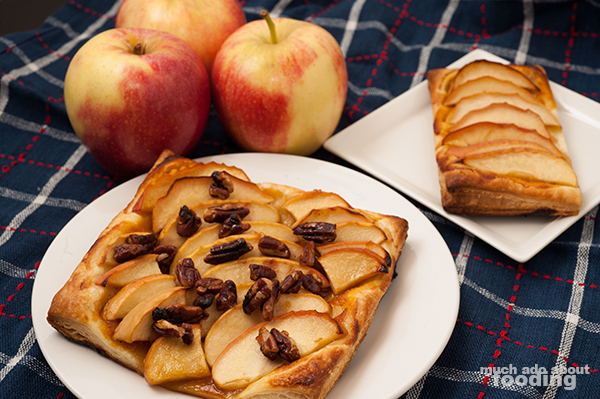 Shari B. suggested on Facebook to use the delicious stuff in an apple tart; we thought it was a fine idea and thank her for the inspiration! 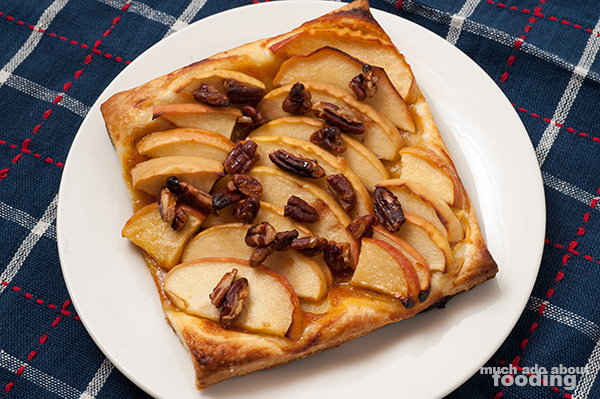 These lovelies use the pumpkin butter a base and seasoning for the apples atop the flaky crust, and topping everything off with honeyed pecans just added a little more pizzazz to the whole thing. Since I'm not suggesting you make the crust from scratch, this recipe will take just 30 minutes of your time which is not really that long! Make a few and force people to love you once you had them a tasty tart. Preheat oven to 425°F. If puff pastry needs to thaw, bring out to thaw on baking sheets with parchment paper. Mix together sugar, salt, and lemon juice. Slice apples thinly and as uniformly as possible, keeping the skin on. You may also eat/not use the rounded end pieces. Mix apples into sugar mix to thoroughly coat. Brush puff pastry squares with heavy cream. You may use the squares in whole or half pieces (pictures for reference). The cream wash will give the tarts their golden color. Spread pumpkin butter onto each pastry, leaving a border so it does not spill off the pastry and burn (like some of mine did). There should be approximately one tablespoon per sheet. 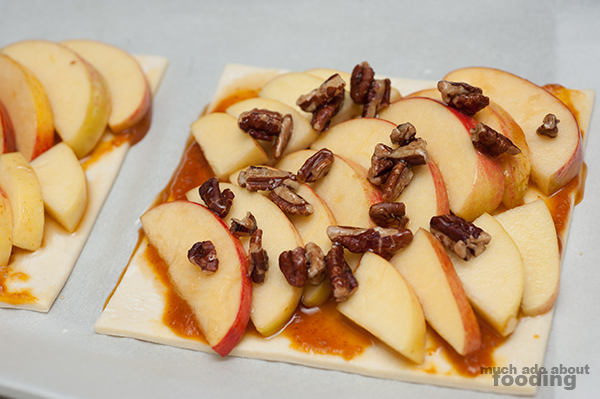 Next, layer on apple slices to cover all parts possible. Bake for 20 minutes. Mix together pecans and honey. 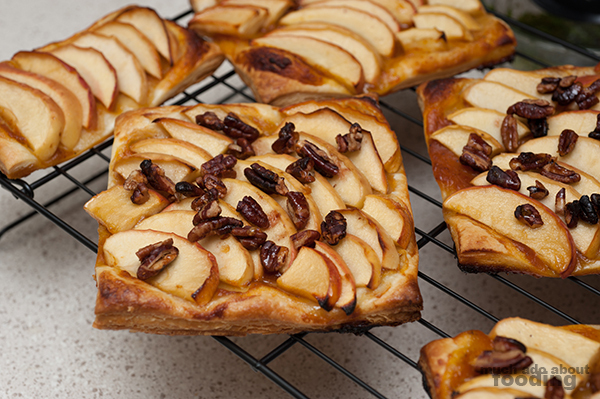 These will top the tarts once you pull them out. 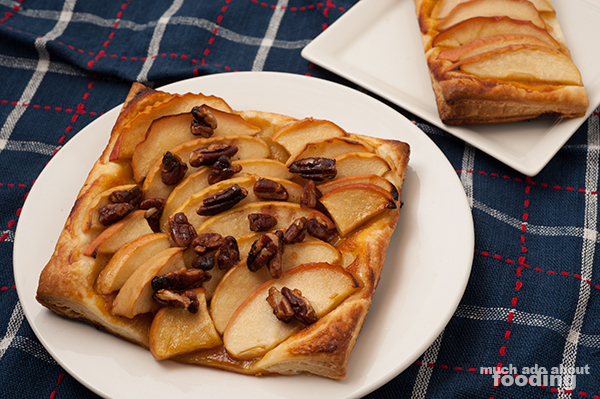 Cool on rack immediately and spread honeyed pecans on top. Enjoy! 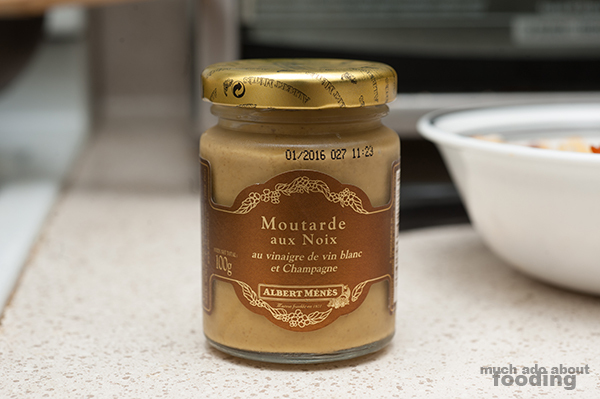 We were recently gifted a small jar of mustard from France that was of the champagne variety. In simple terms, the spread was created using champagne instead of other wine or vinegar to become mustard so the taste should be slightly different. What should we do with this one, folks? Would love your input!